Seven marathons completed, five left to run. 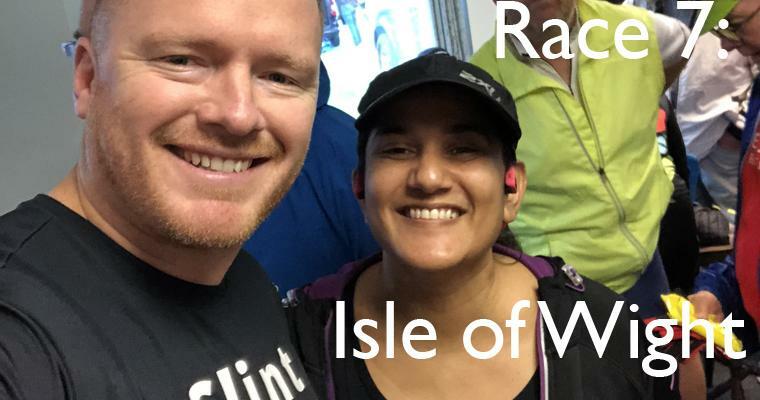 The Isle of Wight marathon had the harshest running conditions for Emma and Clint: torrential rain, an uneven and hilly route and few competitors were a treacherous combination. To donate to Emma and Clint’s mission, please click here. Emma said: “I had been quite apprehensive about this one as it has quite the reputation and is known to be one of the most challenging courses in England. 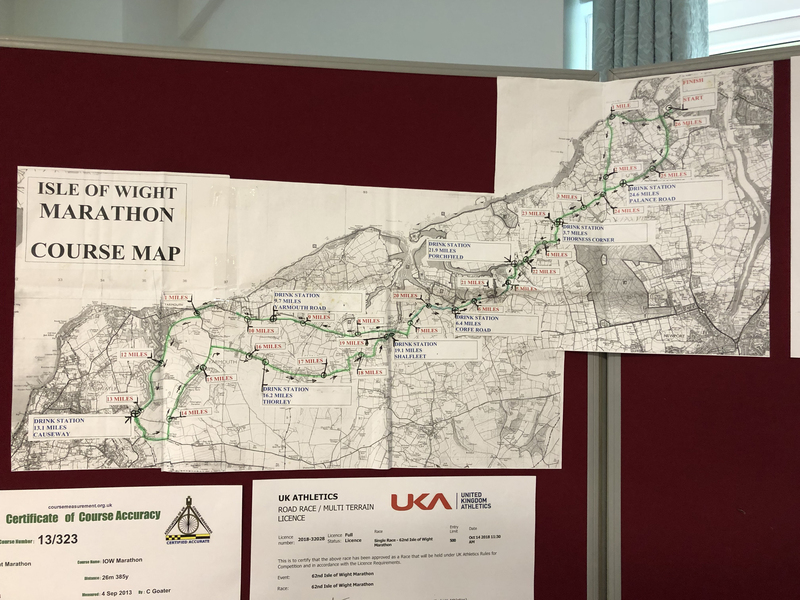 I am just about getting through each race, so I was concerned I would not reach the finish line for this one, particularly as the race instruction said there was a three hour 10 minute cut off for the 15 mile mark and six-hour cut off for the finish line. “In my pre-race panic I spoke to Chris, the Race Director, at the start line. I explained the nature of the 12 Marathons Challenge and he kindly said they would wait, no matter how long it took, to make sure I got to the finish line. “We set off at 11.30am, a late start to allow for the ferry crossings. The rain began to ease a little and I quickly got to know Simon, the “tail end Charlie” or the sweeper for the race. He stayed with me, right to the end, leaving me be when I lost the ability to talk, jovially chatting when I needed the distraction. “It was a hilly, cold and drizzly day. The final two miles were steep uphill which slowed my pace down to a crawl. By this time my ankles were swollen, hips were in agony and my back was throbbing. Thanks to the support of my running buddy and everyone who has donated, I crossed the finish line as it started to get dark. “Thank you to everyone who has already donated. Every donation reminds me why I am putting myself through this endurance challenge. I know that each month I suffer for one day and then I can return home, have a warm bath and a hot meal and rest. Homeless people do not have this luxury. I cannot stress enough how much each of your donations makes a difference. Clint said: "Sunday was a tough day. I was up at 5.15am to drive from Solihull in the West Midlands to Southampton. I caught the ferry at 8.30am to the Isle of Wight in the pouring rain. I finally arrived at the start line after more than four hours of travelling. "The marathon was very hilly and wet. We ran most of the race of busy roads with lots of traffic. Thankfully, the other competitors and organisers were lovely and encouraging. I made it to the finish line and am delighted to add another marathon medal to my collection. "After the race I had the long slog back to the West Midlands and arrived home just before midnight. For me, this was the toughest race by far. The weather is changing and the locations are not near where I live. The exhaustion of the challenge is kicking in. "We have, however, received a surge of donations. We have completed seven races and have started counting down, instead of up: five marathons left. We couldn't do it without the support and donations to remind us of why the challenge is so important. Thank you to everyone who has donated so far and helped us to make a difference to homeless people in the UK." A fantastic day to appreciate everything life has given you. Join Emma and Clint for their eighth race. Cheer them on from the side-lines or donate today to help us fight the causes of homelessness. Click here to donate.